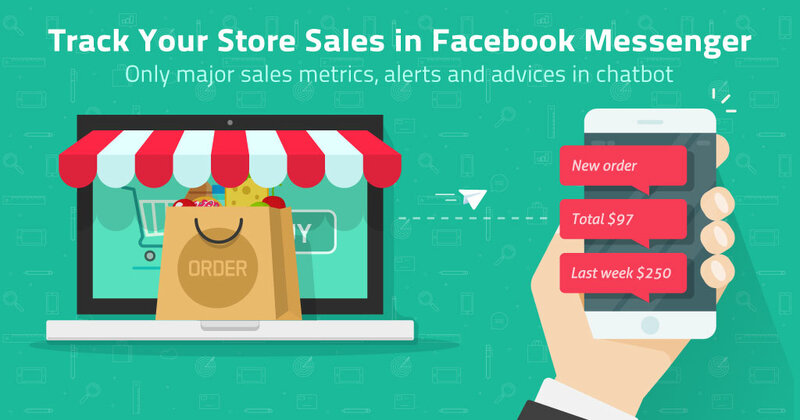 Support thread for Track Your Store Sales in Facebook Messenger and Telegram app. This chatbot will advise you how right on your smartphone. track fulfilment rate stats on the go: know whether new or returned customer placed an order, number of orders in defined period of time, order gross total and other stats. Knowing your metrics is essential to sales growth. Quick and easy access to key metrics: daily, weekly or monthly sales, new customers vs returned, total order numbers per defined period of time, gross total, popular products sold and much more. Schedule automatic daily/weekly/monthly statistics reports for your e-commerce store. Wherever you are you get instant order notifications right on your smartphone in the time when customer places a new order in your store, so you can react immediately. 1) FREE version of Statiny chatbot added. 2) PROMOTION: Bring a friend and get +2 free months of using bot with full features with no limits! So, you can use 1 free months or Trial + 2 months promotion = 3 months free in total. Please let us know any thoughts or ideas you have. The price is now only USD 5.99! Do not miss this special offer!